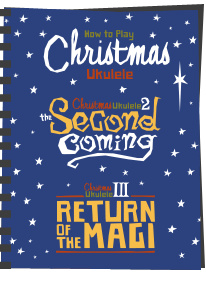 I'm a real traditionalist when it comes to musical instrument gear brands, and so I don't mind admitting that I went all dewy eyed when I first saw a glimpse of this ukulele. Let's take a look at the Pignose PGU-200MH Concert uke. Why so dewy eyed? Well, if you have ever spent any time with electric guitars as I have, you probably will have come across the somewhat legendary range of Pignose battery powered amplifiers. In particular, the 7-100 amp was what the fuss was all about, going back to the late 1960's / early 1970's when Richard Edlund and Wayne Kimbell first put out that small, distinctive battery powered box. They are an absolute hoot and whilst I owned a near original (that I sadly was forced to sell some years ago), I still have one of their re-issues. It's a small solid state amp in a leatherette covered box that runs at 5 watts and are a 'must own' for guitar players. When you hear that proponents of the 7-100 include the likes of Warren Zevon, Keith Richards, Led Zeppelin and Frank Zappa, well... you get the picture. Heck, there is one in the film Crossroads.. As an amp, it's cheesy, fuzzy sounding and at first glance not at all serious... but actually they have a tone all of their own and are dearly loved. Great as an ad-hoc practice amp but also remarkably good used as a pre-amp before a larger amplifier or desk too. They are also much loved by harmonica players. 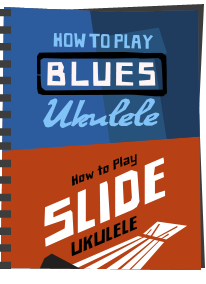 What they have delivered is a solid body ukulele in concert scale. It's made of solid mahogany and at first glance I would say I adore the shape. It follows the outline of the Pignose guitars and looks quirky yet stylish with a curvy base and offset upper shoulders and a cutaway. It's finished in a smooth satin, which makes it feel very nice on the hands, with no sharp edges or joints. I really like this body. Fitted into this is what the ukulele is all about - the Pignose amplifier and speaker complete with the trademark grille and Pignose badge across the front, just like the 7-100 amplifier. They don't specify much in the specs so I am not sure of the wattage (though the 7-100 was 5W) but it's a 10 cm speaker making it a touch smaller than the 5 inch 7-100. Inside it amplifies a piezo pickup under the saddle. This runs out through a range of options. Either the speaker itself (powered by the onboard 9v battery), a headphone jack for personal play, or to a standard output jack for connection to a bigger amp - just like the 7-100. Of course you can also play it turned off too, but then it's pretty much a silent ukulele. What IS annoying though on this review model is some poor finishing on the front grille where the black paint has come off or is just thinly applied. Easily touched up I guess but very ugly and obvious as you can see. At least in the case of this loan instrument it shows those suspicious readers of mine that I don't necessarily only get perfect instruments sent to me! Controlling the amp is a single volume knob which is push / pull for on and off. Like all Pignose gear, the knob is... well.... it's a chrome pigs nose. What else? There are no tone controls, but that belies the point of the originals as they didn't have them either. Pull the nose to turn it on, and turn it to make it louder. Simple. To control the tone on the 7-100 you open up the case and adjust the space behind the rear of the speaker. Pignose say you can do something similar by removing the rear grille. If that works anything like the 7-100 does, opening up the back will give you a cleaner but thinner sound. Cool, if a lot more fiddly to do as it will involve a screwdriver. It would have been nicer to make this rear grill detach with a clip instead. We shall see below if it work as I am not convinced considering it's already a grille. 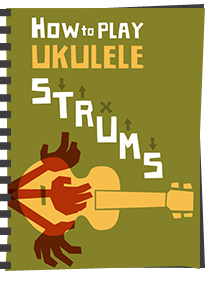 We move back to more traditional ukulele stylings with the nicely shaped slotted bridge holding a bone, straight saddle. They don't specify the wood, but do specify the fingerboard as rosewood so it may well be the same. It's screwed in place too. Other than that though, apart from the rear grille, battery compartment and controls back cover, all in black, there is not much more to say and no other decoration. But honestly - do you need that when a ukulele is so bonkers looking anyway? Up to the neck and this is made of mahogany, very obviously bolted on to the body, Fender style, with four carriage bolts. I've got no gripes with a bolt on like this, but it's surprising to see there is so little heel. Whilst I suppose you don't really need much on the heel joint when the bolts are doing the work of strengthening the joint, I do like something there just for looks. The neck is otherwise finished in satin and made from three pieces with some fairly obvious joints. The profile is a fairly rouned C shape and at the nut we have a very roomy 38mm. That's nice to see. Sighting down the neck though and it looks a bit twisted or possibly not quite joined properly. It's slight, but I shall check whether this is causing an issue when I deal with setup and intonation below. Topping this is a laminated rosewood fingerboard with 18 nickel silver frets. It's unbound so you see the fret ends, but they are stained so they are not really obvious. They are also dressed very well too. It joins the body at the 11th (or 12th depending on which part of the shoulder you measure to). What is also very nice for the price is that the fingerboard has a slight radius to it for comfort. You get outward dots at the 5th, 7th, 10th, 12th (double) and 15th and these are repeated on the side too. Great. Beyond the bone nut, we have a plain shaped headstock, but one that does replicate the shape on their guitars. It's unfaced, but comes with the Pignose logo in a gold screen print. It looks a little cheap and I think a re-creation of the Pignose badge from the grille would look better, or even nothing at all considering there is already a logo on the body. As it is, this logo just looks lost. Tuning is provided by undbranded open gears with small (ish) white buttons. They work ok too. 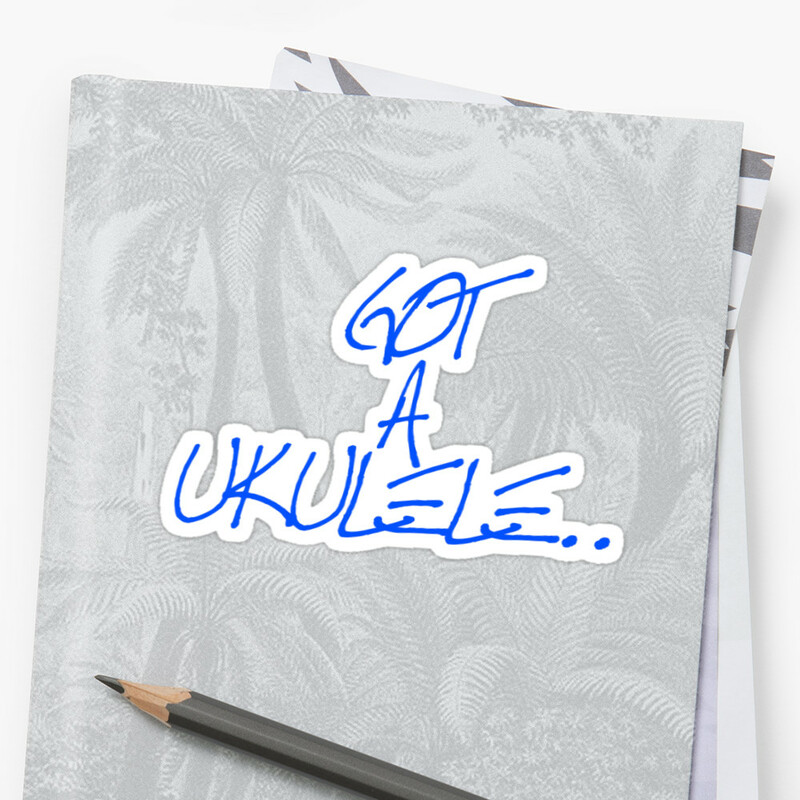 And then you see the intriguing wording on the back proclaiming that this is a 'PGG Travel Guitar... ' That does make me wonder if the ukulele element was an afterthought here or whether they really know who they are marketing this to? 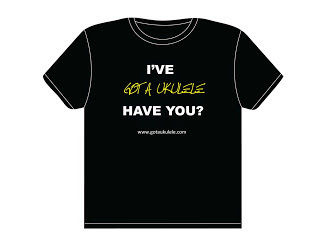 Or even what a ukulele is! I'll put that down to a loss in translation. It comes with unspecified strings that have the look of Aquila, but with no Aquila swing tag. You also get a couple of strap buttons which will be a godsend for the reasons I explain below. There is also a Pignose branded gig bag but I cannot be sure if they are included in the price or not. Certainly the review model that came to me direct from Aria didn't have one, but I have seen pictures of them! If you are buying, check first. And in the UK you will be looking at £219 to grab one of these. That's not bad really for a solid electric of this sort of build quality. Whilst you might be thinking this is like nothing you have seen before, it's not actually the first ukulele with a built in speaker I have looked at on Got A Ukulele. Some years back I reviewed the now discontinued Vox Ukelectric 33 from another ultra traditional music brand. It certainly had the looks but really let me down on the output power of the built in speaker, and some pretty shabby quality control and finishing in most areas. What I can say about the Pignose though is that the build quality and finishing is leagues above the Vox. It's really MUCH better, and aside from that annoying scuff on the speaker grille, the rest of the instrument is really nicely finished and put together. It feels solid and well built in every department really. That solidity does, it must be said manifest itself in the weight. This is a heavy old beast and extremely body heavy too. That's a combination of the hunk of mahogany in the body combined with the a fact there is an amplifier inside it. From memory, it's significantly heavier than the Vox. 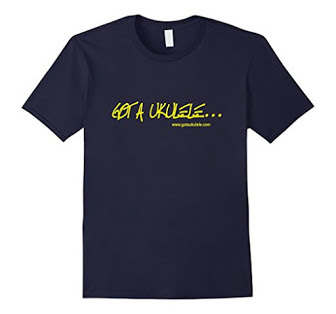 This is NOT a ukulele you are going to play standing without some support, hence my relief to see the strap buttons. Assuming you play it with a strap (and you really, REALLY will), the weight or balance does not concern me as a strap will deal with that. I do talk about weight a lot in my reviews, but that is in regard to acoustic instruments where heavy weight usually means 'over built'. This isn't an acoustic though. Saying that, playing this on your lap sitting down still feels a bit cumbersome as I found the body trying to slip away from my knee. Elsewhere the setup is very good at both the nut and bridge. The possible neck twist doesn't 'seem' to be affecting the play or action across the strings or the intonation, so I am not too worried. That's easily checked with an action ruler and I can confirm that the string height at the 12th is pretty much the same across all strings rather than one being much higher. But let's turn it on and get to what this is really all about. The internal amp and speaker. And.... hmmmm.... This is really not as loud as I would like it to be. The 7-100 is remarkably loud for such a small box, but that does not translate through to the ukulele version. From memory (as I don't have one to test it next to side by side) it IS louder than the Vox by quite a distance, but it's still not loud enough for my liking. I'm not being hugely critical here as it's about as loud as (say) a cheaper laminate soprano, but when you add an amp like this to an instrument i'd say you want volume. And being a Pignose fan, I was certainly expecting something on a par with the 7-100. You can get a clean tone out of it by keeping the volume right down, but then it's even quieter, perhaps perfect for hotel room or late night practice only. Cranking the volume up creates something akin to the very slightly overdriven fuzzy tone of the 7-100, but it's still not very punchy. Tone wise, the in built speaker is rather thin sounding and not really 'acoustic' - very much a piezo sound, but then it's not an acoustic instrument. The lack of a tone control means there is no way to adjust the piezo quack using the in built speaker. It does have very decent sustain though and quite surprisingly so for a block of solid wood. That made it quite a lot of fun for fingerpicking and melodies. I would still just like it a fair bit louder when on full volume in order that I can then choose to play it at more mid range levels if I want to. As it is, full volume here is very much 'medium'. Going back to setup I would also report that the G string is a touch quieter than strings 1-4, but that may be easily remedied with a shim of thin paper under that part of the saddle (it usually does fix it on piezo strips). I also took the back grille off to check on tone variation, but to my ears it made no difference whatsoever (and was very fiddly to do). Because it's a grille, to be honest you get just as much tone adjustment by moving it away from your body. What removing that grille did show me though was a very tidy cavity - FAR better than inside the Vox which was a total horror show. Oddly, the speaker is labelled as being rated at 10 Watts. There is no way this is pumping 10 Watts though, not when its far quieter than the 5 Watt 7-100. Through headphones and things were quieter still and you also lose some of the fuzz and character. Also perfect for solo practice I guess, and I suppose you don't want top volume direct into your ears, but still. In fact if you are wearing headphones with some background noise in the room, unless your cans are noise cancelling you may not hear the ukulele very well at all. Out of the main jack it's as to be expected - a typical piezo sound, but at least you can use an amps EQ or a pre-amp to cut the mids and remove the quackiness and also add some effects. It's competent, but only as competent as most other solid electrics out there. Pleasingly though, as a fan of passive setups, despite all that gubbins inside the amp, the output is pretty clean from the off. As such it would make a passable stage ukulele bypassing the onboard speaker and running to a bigger amp or a desk. In summary, my views are somehat mixed on this one. I really like the looks, the concept and the heritage and in most departments the build and finish are also excellent. Plugged in it's a fun competent solid electric that would be great to rock out with. But the main event is more of a let down on volume and the thin toner. If you are a Pignose fan you will have come to this specifically for the internal speaker, and sadly it's just not loud enough for me. And that really begs the question, 'why put it in, in the first place?'. If people are only going to sensibly use this as a plugged in solid electric out of the main jack, it just doesn't need the speaker. But then it wouldn't be a Pignose of course. The speaker IS the hook.. As I say though, it probably stands up on volume level to a lot of simple ukuleles, but I fear in a big acoustic jam you could find yourself a little lost and longing for a bit more room on the volume knob. I suppose that's what the jack is for though. So I'm a slightly torn. In most ways I like this ukulele a lot, but it's just missing a little on the main feature. If you are prepared to overlook the speaker and want a funky looking solid electric for not a lot of money, I'd say go for it and have a lot of fun. The body feels great, the neck is roomy and it would look the business on a stage. But if you are wanting a true Pignose speaker that you could play without fear of being lost in a noisy pub or club, get a different solid body and buy a 7-100 instead.. Or plug this into a 7-100 itself... which would be a very odd concept! It still gets a score in the 8's though, but still only a 'possibly' recommended depending on what you are expecting from it. 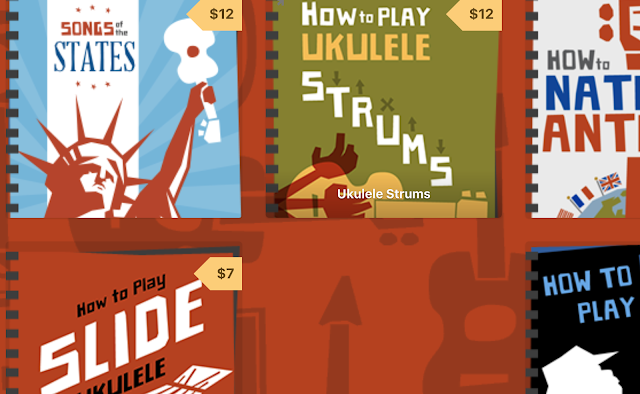 Thanks to Southern Ukulele Store who are stockists of these for helping to get in touch with Aria to facilitate this loan. My brother had a pignose amp when I was growing up and I remember it well. I've always wanted a solid body, maybe this is the one. The pic of the back shows a small one-board solid state amp. I wonder if there exists a similar-sized drop-in 9v, 10 watt replacement?? Any amp techs reading this?